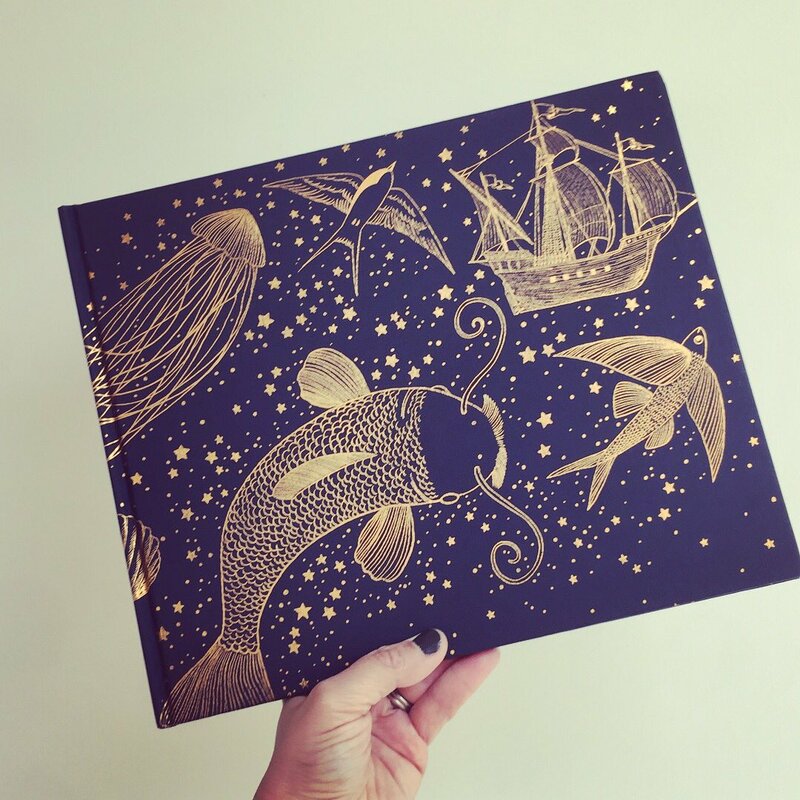 We truly hope we don’t sound disingenuous whilst drooling over this incomparable picture book. We had been waiting for the Fan Brothers next offering with great anticipation and had seen glimpses, but now it’s in our hands we can’t begin to tell you what a treasure this is. Without doubt, this is positively one of the most serenely beautiful books you will hope to see and we don’t say that lightly. It’s one of our top 3 picture books of this year so far. 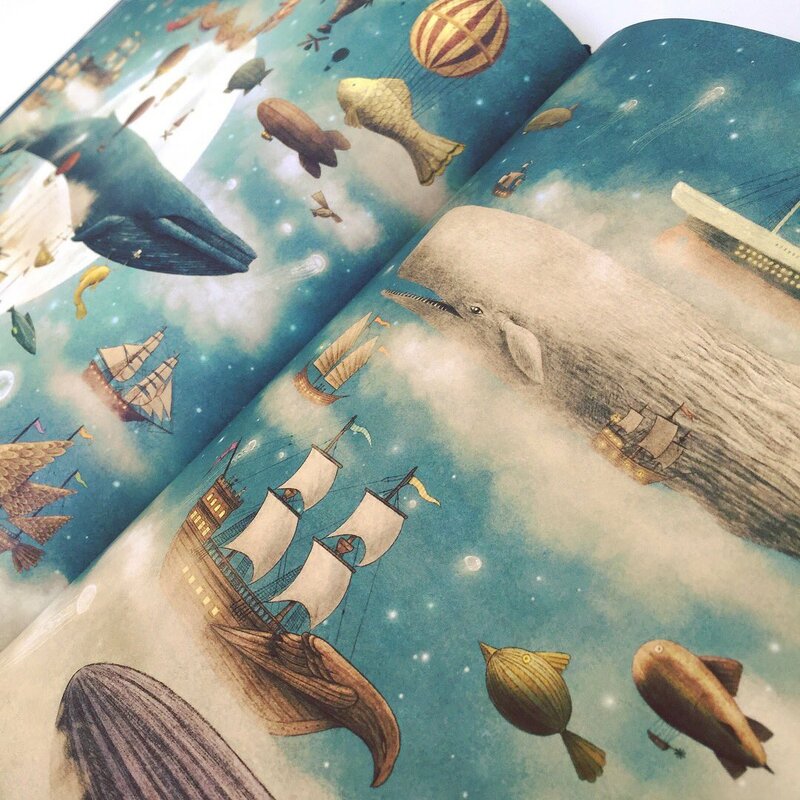 ‘Ocean Meets Sky‘ is an arrestingly illustrated tale, coupled with a fantastical story. It’s an unfurling journey of discovery through the highly charged imagination of a young boy. As Finn sets out on an adventure initiated by his late grandfather, he encounters numerous magical visions from ‘an island of giant shells’ to ‘moon jellies dancing’ on his way to find where ocean meets sky. Immerse yourselves in the dream like spreads as fairytale merges with the beauty and majesty of nature and get lost in this original storyline. The Fan brothers have executed this whole production immaculately, from the marriage of the creative narrative to their distinctive illustrative style and not forgetting the treasures hidden under the dust jacket. Not one detail has been overlooked. This is an emotively charged story which gently tackles loss and bereavement in an understated but poignant manner. 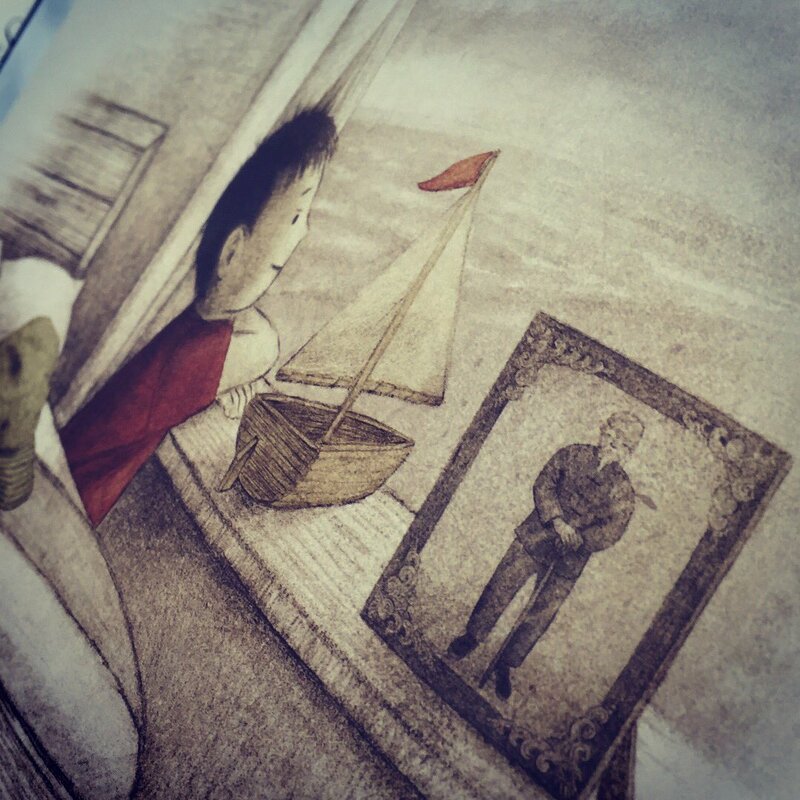 It italicises the unprecedented power of well constructed storytelling, combined with rich and observant illustration. 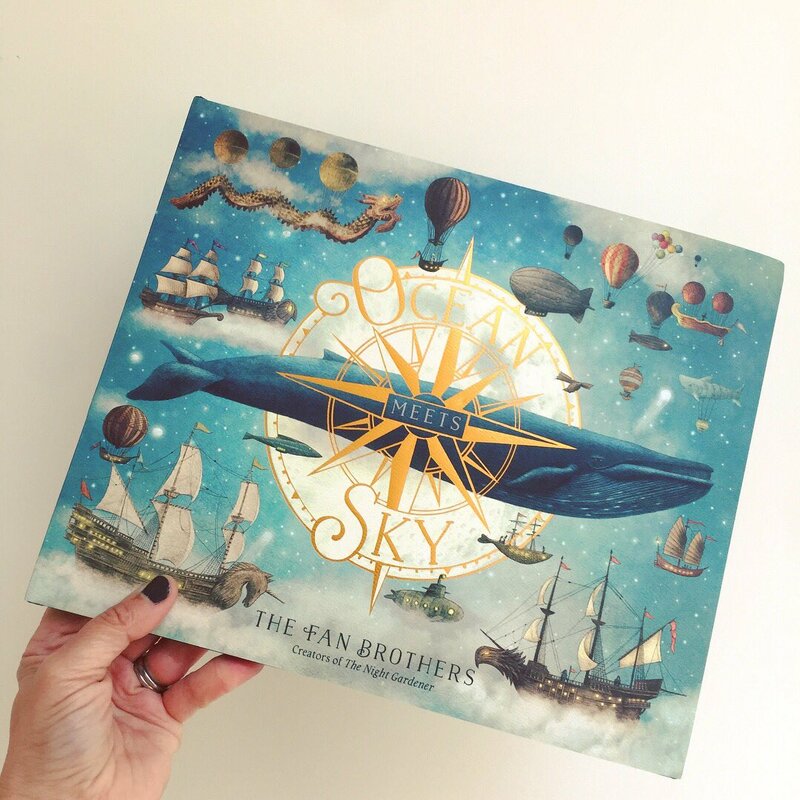 The Fan Brothers are proving to be a picture book force to be reckoned with and we’re not sure how they’ll surpass this one, but we’re waiting with baited breath to see what they come up with next!